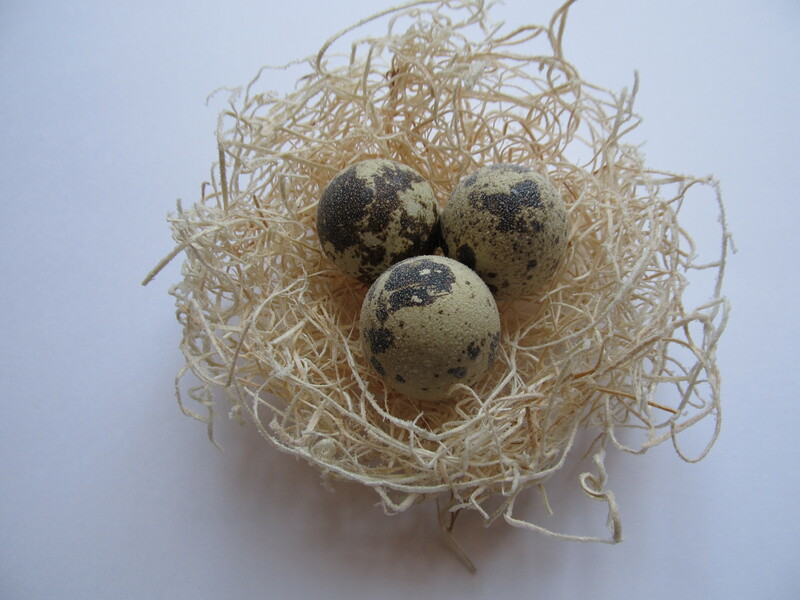 Quail Egg Nest Bring nature inside with a quail egg nest. Add charm to a shelf, display or cheerful table centerpiece. Nests available at the Starving Artists Workshop (SAW) next to Cafe Luna on Bank Road, Vashon Island, WA or by mail order. Please contact Wishing Rock Farm. Quail Eggs at Glass Bottle Creamery!